Excellent mentors contribute not only to the development of those they mentor, but also to the success of the entire laboratory. This is why Argonne is committed to fostering a mentoring culture and recognizing employees who have made an exceptional impact as mentors. Eight employees were honored in 2016 by the Argonne Leadership Institute for their outstanding work as mentors or supervisors. Their dedication to assisting coworkers and postdocs is a great example for those considering the role of mentor. Moreover, the Postdoctoral Mentoring Program is structured to provide each postdoc with a third-party mentor in addition to the research supervisor. Both can have a significant impact on career growth. How do these outstanding mentors and supervisors view their roles? We asked each of this year’s honorees for some insight into their approach to good mentoring. 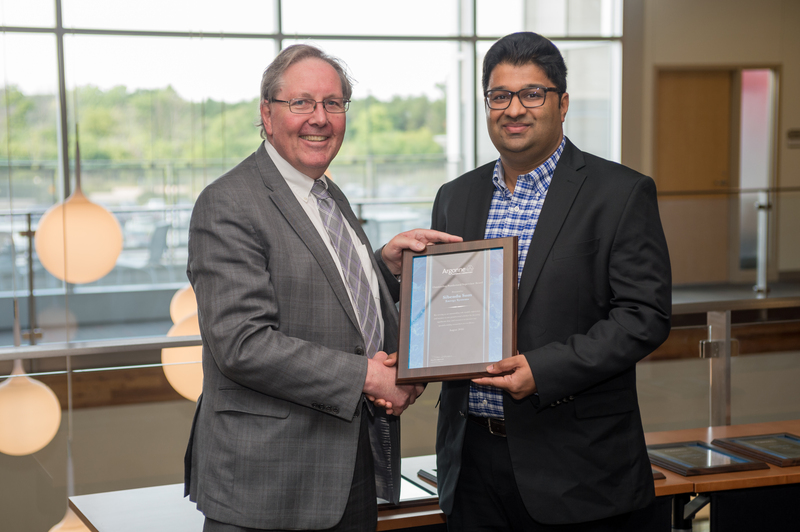 Sibendu Som received the 2016 Outstanding Postdoctoral Supervisor Award. Som is a Lead Computational Scientist in the Energy Systems Division and principal investigator for developing predictive spray and combustion modeling capabilities for compression ignition engines. Why is a good supervisor particularly important to postdocs? Postdoctoral candidates come to Argonne to shape their careers. It is the responsibility of a supervisor to ensure the postdoc is able to work on projects that help them gain necessary expertise for career growth, either at Argonne or elsewhere. Did you have a supervisor who made a positive impact on your career when you were a postdoc? If so, what was that impact? Yes, my postdoc and current supervisor Doug Longman has been influential in my career growth at Argonne. He encouraged me to develop collaborations both internally within the laboratory and externally with other national labs, universities and engine companies. This has resulted in creation of the VERIFI program at Argonne which has been largely successful in attracting industry to work together with Argonne for engine simulations. What is the most important guidance you give to postdocs? I spend lot of time with postdocs to develop new skills. In addition to providing them technical guidance on research tasks, I strongly encourage them to participate in grant writing (LDRD, white paper and FOAs), participate in postdoc society activities at Argonne, improve presentation/communication skills by going through the Toastmasters program. I also try to impart a sense of what technical work can bring the most return on investment (ROI). Every problem is an interesting research topic, but I help postdocs identify what would have the most ROI in terms of publication, future funding etc. What advice would you give to other supervisors of postdocs? 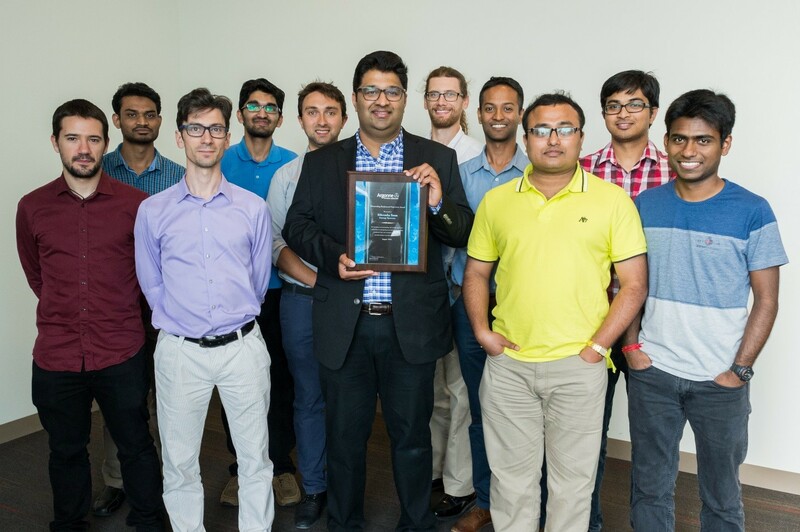 Sibendu Som poses with his postdocs and mentees at the 2016 Mentor Awards Reception. I encourage all supervisors to dedicate some amount of their time to understanding the personal aspirations of each postdoc candidate and try as much as possible to best align them with research projects. Supervisors should also be open to introduce the postdocs to their own professional network. What characteristics make for a good postdoc supervisor? The ability to listen to the postdoc, encourage and then develop their thoughts into ideas is a very important characteristic of a supervisor. I also think the ability to align different projects with postdocs’ expertise and career growth interests is important. Congratulations Sibendu! Well deserved. Another important quality of mentors and leaders is continuous learning and development which I commend you for striving toward in your own career. Self-knowledge and development first (and being as open as you are to coaching) and then paying it forward! Thanks for all you do Sibendu!